Before going on holiday this year, I bought a few food magazines to take with me. A little stash of reading material to while away lazy afternoons by the pool! 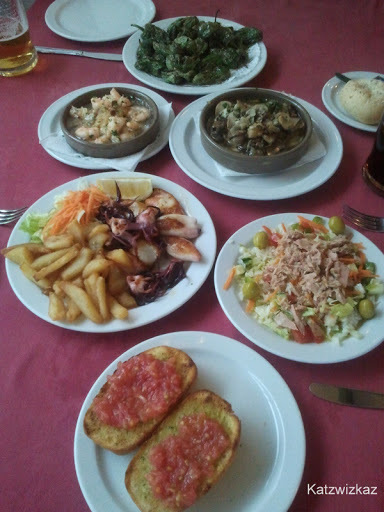 I have already written a post regarding some of the food we had in Lanzarote, but on one particular evening, we decided to have some Tapas and Sangria. 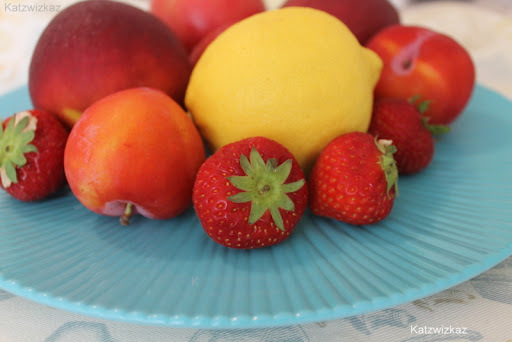 The inspiration for this Punch recipe comes from a few sources. The Cava Blanca (above) we had with the lovely selection of Tapas, and a recipe I found in Good Food Network Magazine, which has been slightly adapted. The original recipe used a bottle of dry white wine. 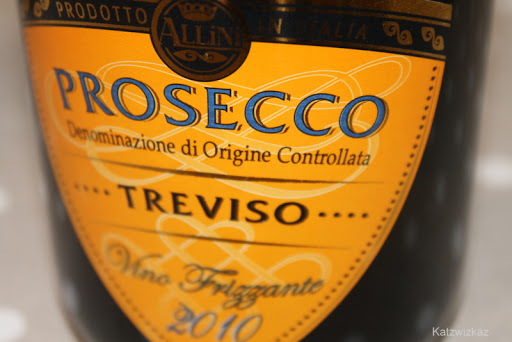 My choice of Prosecco was influenced by one of my Twitter Pals , The RestaurantPimp, who tried this particular Prosecco, and recommended it to his followers. I have to say, I totally agree. It is a really inexpensive, and acceptable fizz, which is available at branches of Lidl, priced at €6.79/Stg£5.95). 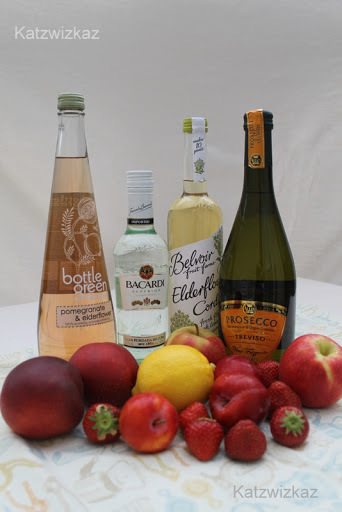 Start by putting the rum, sugar, and elderflower cordial in a large jug, and stir until the sugar has dissolved. 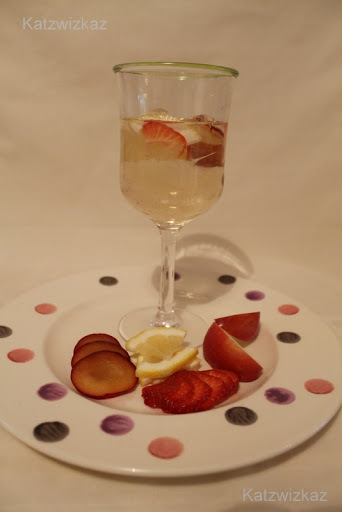 Next add the half the bottle of Prosecco, some slices of fruit, add the rest of the Prosecco (or however much your jug will take), and top up with a little sparkling water. 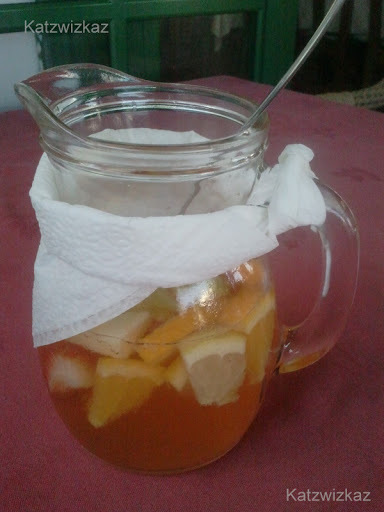 Add the rest of the fruit, a little of the pomegranate & elderflower drink and finally, the ice. Pop in the long spoon for stirring every now and then. A little indulgence for a Summer’s evening. Enjoy!